They do good fried chicken in the Spice Grill. In fact, that’s all I thought they did (along with pizzas and cans of Coke). But if can somehow resist chunks of chicken that have been soaked in hot fat and covered in breadcrumbs you’ll find a decent curry after 5.30pm. Just ask for the curry menu as you enjoy the English caff environment. On it you’ll find some interesting dishes such as Courgette Prawns (£5.75) and Lal Kadoo (£3.95), a spicy dish made with diced pumpkin. Old-school favourites such as Madras start at a very well-priced £3.95 (chicken or lamb), rising to £6.50 (king prawn) with a few pennies more for dishes such as Methi and Pathia. Pistachio Chicken (£5.50) is a creamy dish in the korma style but the pistachios give an stronger nutty taste than the almonds used in korma. And, joy, my new favourite, chillies in the creamy sauce. If you haven’t tried it yet, you should. If you can’t find it in your local just ask them or buy a korma and throw a few chillies into it. Cream with bite. Add to your takeaway some lemon rice (£2.20) and garlic nan (£1.75). Beats fried chicken any day. Parking: on-street parking along Trafalgar Road. Delivery: free for minimum orders of £10. Specials: 10% discount on takeaways colllected. Free side dish if you spend £15 and free bottle of Coke if you spend £20. Beer while you’re waiting: Hardy’s, a good old local pub is opposite. 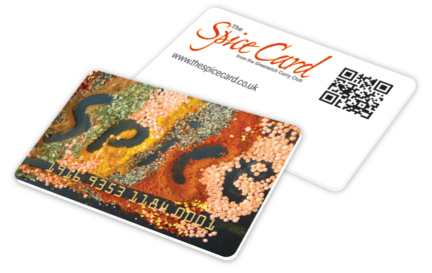 Spice Grill, 101 Trafalgar Road, London, SE10 9TS. Tel: 020 8293 5211 or 020 8858 4434. Open: curry menu daily 5.30pm–1am. Looks good, I’ll check it out!